The Acropolis of Athens is one of the most famous ancient archaeological sites in the world. Located on a limestone hill high above Athens, Greece, the Acropolis has been inhabited since prehistoric times. Over the centuries, the Acropolis was many things: a home to kings, a citadel, a mythical home of the gods, a religious center and a tourist attraction. It has withstood bombardment, massive earthquakes and vandalism yet still stands as a reminder of the rich history of Greece. The term “acropolis” can refer to one of many natural strongholds constructed on rocky, elevated ground in Greece, but the Acropolis of Athens is the best-known. The Acropolis’ flat top is the result of thousands of years of construction beginning as far back as the Bronze Age. There’s no recorded history of what happened at the Acropolis before the Mycenaeans cultivated it during the end of the Bronze Age. 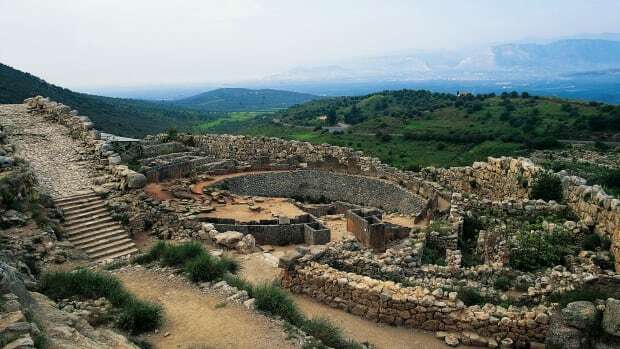 Historians believe the Mycenaeans built a massive compound surrounded by a great wall (almost 15 feet thick and 20 feet high) on top of the Acropolis to house the local ruler and his household. 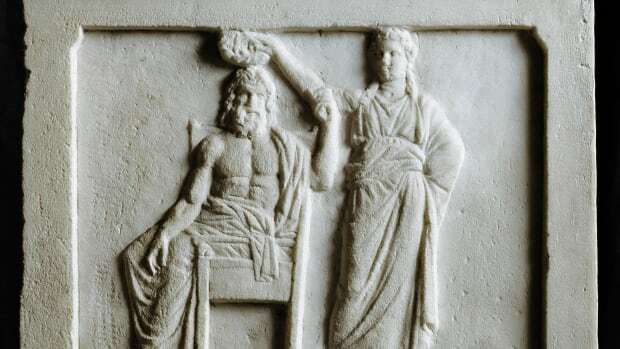 Years later, the Athenians built a Doric temple made of limestone, known as Bluebeard Temple, on the northeast side of the hill in honor of the goddess Athena in the sixth century B.C. It was named after a sculpture which adorned the building that depicted a man-serpent with three blue beards. Another temple dedicated to Athena was also erected in the same century, as was a shrine to Artemis Brauronia, the goddess of expectant mothers. 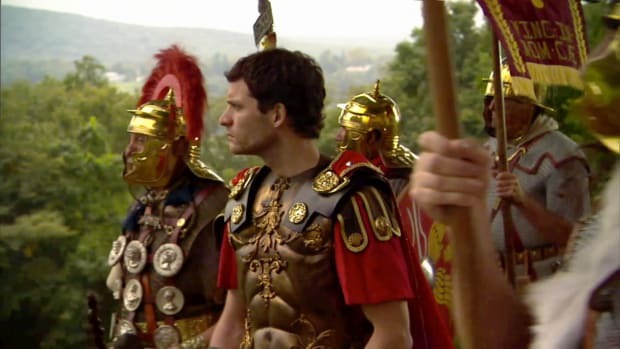 During the Greek Dark Ages (800 B.C. to 480. B.C. ), the Acropolis remained largely intact. Many religious festivals were held there, and the artifacts of the time reflected the grandeur of ancient Athens. 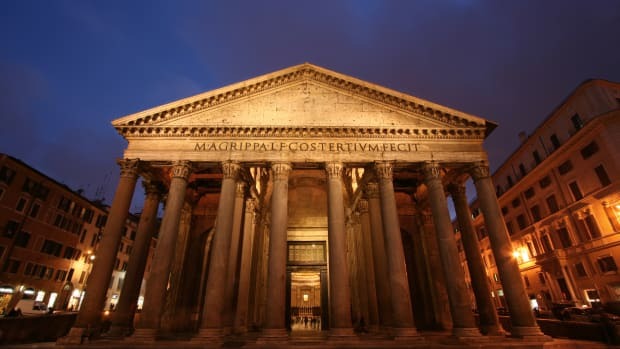 Around 490 B.C., the Athenians started building a majestic marble temple known as the Old Parthenon. By that time, the Bluebeard Temple had been demolished by the Persians. In 480 B.C., the Persians attacked again and burned, leveled and looted the Old Parthenon and almost every other structure at the Acropolis. To prevent further losses, the Athenians buried the remaining sculptures inside natural caves and built two new fortifications, one of the rock’s north side and one on its south. If the Acropolis was impressive during the Mycenaean Civilization, it was nothing short of spectacular during the Golden Age of Athens (460 B.C. to 430 B.C.) under the rule of Pericles when Athens was at its cultural peak. Determined to bring the Acropolis to a level of splendor not seen before, Pericles initiated a massive building project which lasted 50 years. 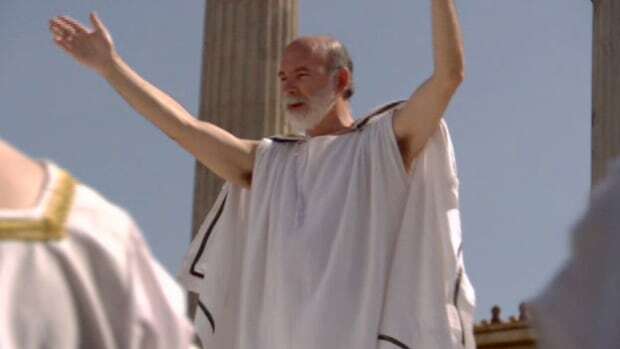 Under his direction, two well-known architects, Callicrates and Ictinus, and renowned sculptor Phidias helped plan and execute the Pericles’ plan. The Parthenon: An enormous Doric-style temple which remains the star attraction of the Acropolis. It featured ornate sculptures and housed a spectacular statue of the goddess Athena. The Propylaea: A monumental entryway to the Acropolis which included a central building and two wings, one of which was covered with elaborately painted panels. The Temple of Athena Nike: A small Ionic-style temple located to the right of the Propylaea built as a shrine to Athena Nike. The Erechtheion: A sacred Ionic temple made of marble which honored Athena and several other gods and heroes. It’s best known for its porch supported by six Caryatid maiden statues. The Statue of Athena Promachos: A gigantic (almost 30 feet tall) bronze statue of Athena which stood next to the Propylaea. The Acropolis saw few changes after Sparta won the Peloponnesian War, although a minor temple honoring Caesar Augustus and Rome was built in 27 B.C. In the sixth century A.D., after Rome converted to Christianity, many temples at the Acropolis became Christian churches. The Parthenon was dedicated to the Virgin Mary and the Erechtheion became a chapel. 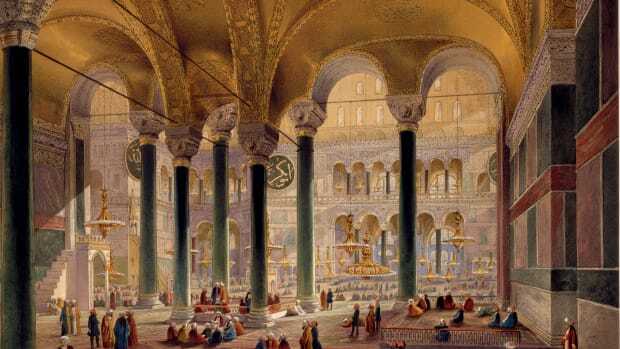 As Greece endured many unwelcome invaders, including the Venetians and the Turks, the Acropolis and its temples also served as mosques and storehouses for ammunition. 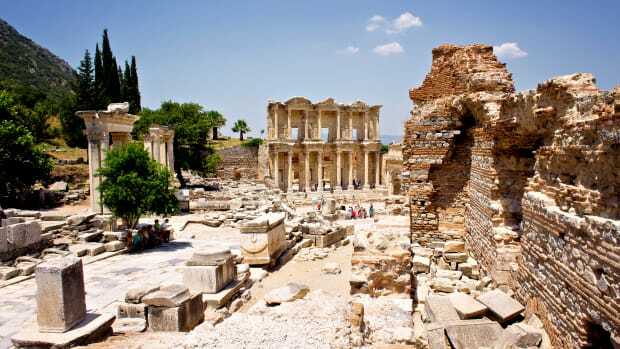 The Propylaea was a residence for Episcopalian clergy and later, the Ottoman ruler. It also once served as barracks for the Turkish occupying army. On September 26, 1687, the Venetians bombarded the Acropolis and decimated the Parthenon, which was a powder munitions depot at the time, leaving it at the mercy of looters, vandals and even tourists; many priceless artifacts were lost. In 1801, hoping to save the Parthenon’s architectural magnificence, the seventh Earl of Elgin, Thomas Bruce, began removing its sculptures with permission from the occupying Turkish government. Elgin eventually removed over half of the Parthenon’s sculptures, known as the Elgin Marbles, and sold them to the British Museum where many still reside today. 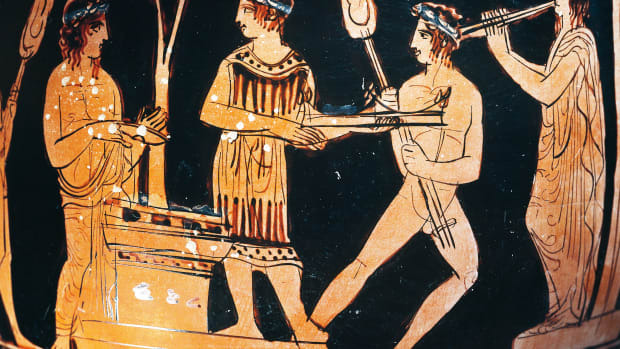 The Greek government strongly disapproves of the artifacts remaining in the hands of the British and feels the sculptures should be returned to Athens. After the Greek War of Independence in 1822, the Acropolis was returned to the Greeks in disrepair. 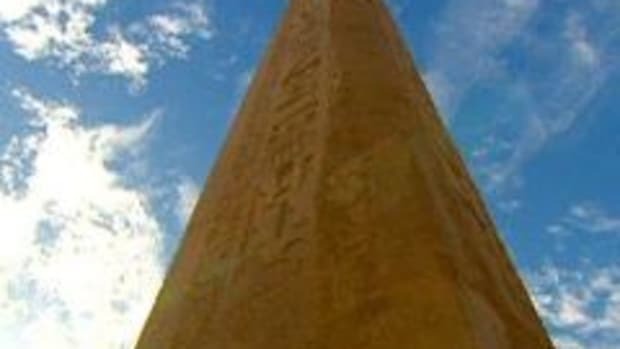 They began investigating the condition of their crown jewel and meticulously excavated the entire site in the late nineteenth century. At the turn of the twentieth century, restorations began. In 1975, the Committee for the Conservation of the Monuments on the Acropolis was established which includes architects, archaeologists, chemical engineers and civil engineers. 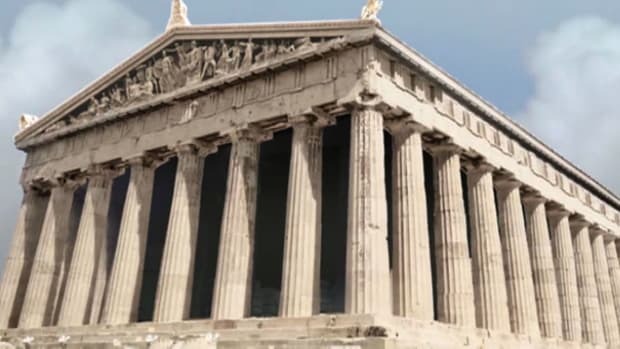 The Committee, along with the Acropolis Restoration Service, works to document and conserve the history of the Acropolis and restore its structures as closely to their original state as possible. They also work to minimize environmental damage caused by pollution and weathering and identify ways to limit future damage. 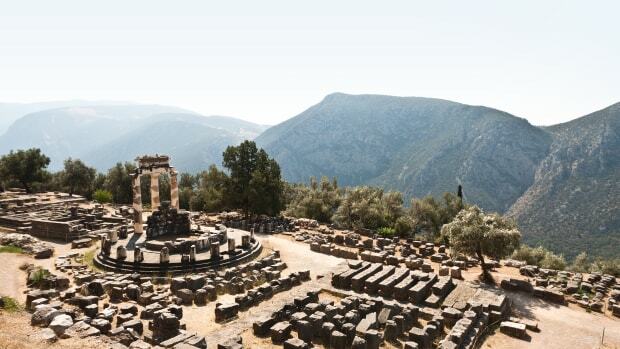 The restorations of the Erechtheion and the Temple of Athena Nike are complete. The Acropolis is open to tourists year-round. Tickets are available at the entrance, but be prepared to wait. To miss the crowds and the summer heat, arrive early in the morning or after 5:00 p.m. Most importantly, bring comfortable shoes and water because exploring the Acropolis requires a lot of walking. Keep in mind that some buildings may be inaccessible due to renovations. Acropolis of Athens: History. 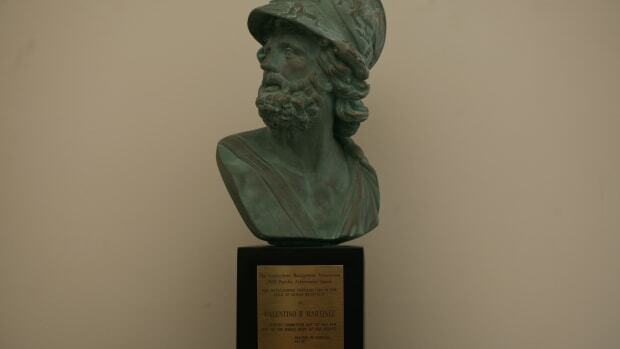 Odysseus. History of the Acropolis. Ancient-Greece.org. The Acropolis. The Stoa: A Consortium for Electronic Publication in the Humanities. The Acropolis of Athens. Archaeology. The History of the Elgin Marbles: Past, Present and Future. The Art & Architecture of the British Renaissance.